Zombies on Infinite Earths! The zombie plague has been largely wiped out and the Earth spared from an undead apocalypse. But a cure to the virulent infection still proves elusive, due to the disease's ever-changing nature. 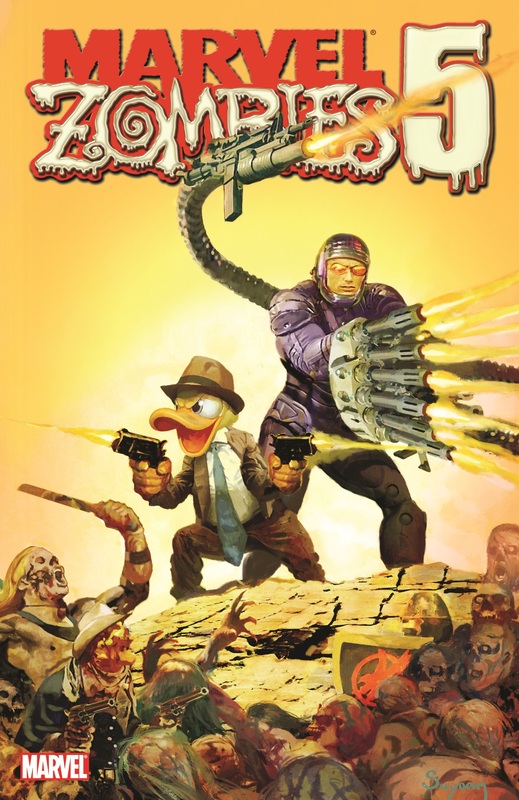 To uncover an antidote, Machine Man and Howard the Duck have set out across the multiverse, in search of zombie samples to bring back to their laboratory base. 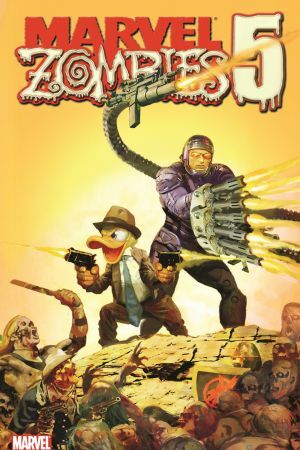 Joining forces with the gunfighter known as Jacali Kane, they must travel to five distinct universes beset by their own unique zombie plagues. A universe stuck in the Wild West. A world overrun with malicious Martians. A land where Camelot is at its height. A cybernetic future megacity. And the world we call our own. 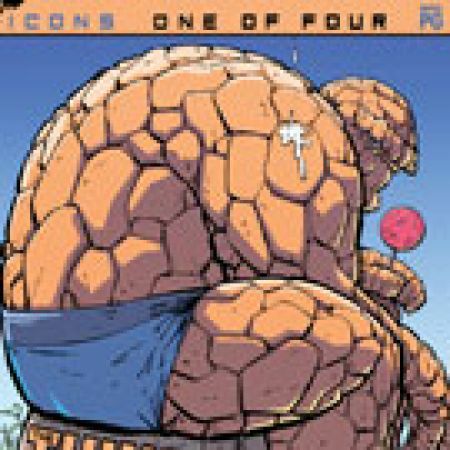 Can Machine Man, Howard the Duck and Jacali Kane obtain the samples they need from each of these worlds without becoming zombies themselves? 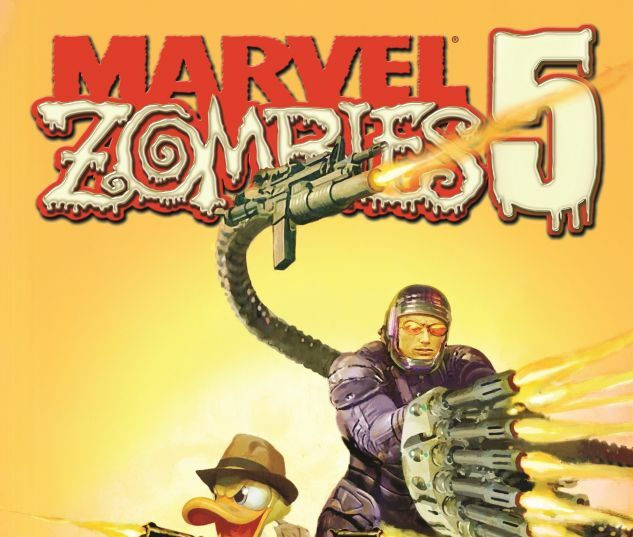 Collecting MARVEL ZOMBIES 5 #1-5.